Disorientation is a powerful force. 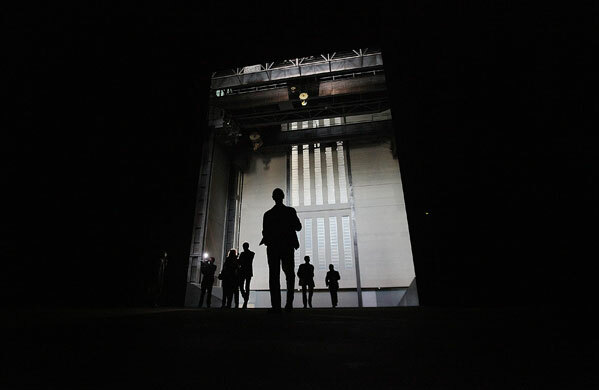 Whereas Klein’s white void might have amounted to nothingness as art, Miroslaw Balka’s How It Is, the 2009 Unilever Commission for the Turbine Hall of Tate Modern, couldn’t be seen as nothingness in quite the same way. This was an altogether heavier void and, for me, its weight was a significant part of its power. Approaching the work one was faced with a vast steel container, raised from the floor aand painted black. The box was intimidating, industrial in scale and forbidding in its blankness. I am rarely disturbed by concerns about what would happen if something were to go wrong but walking under the container – and I was drawn to walk under rather than round it for some reason – I was hugely aware of its weight and power to destroy anything in its path were the supports somehow to fail. The low ceiling played a part here I think; there is an oppressiveness that comes of being in close proximity to such a structure. At the front of the container a ramp leads up into the space inside. 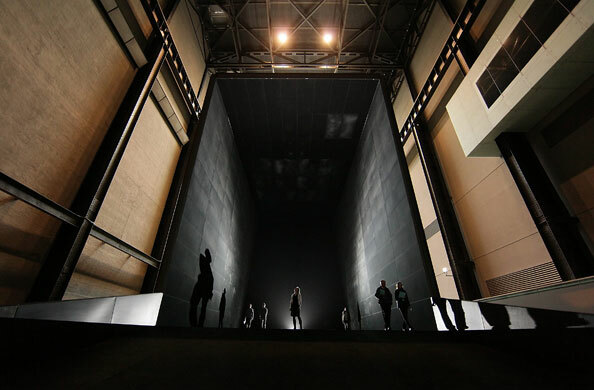 The space is dark, the black walls are covered in some sort of felt which both takes the edge off their hardness and absorbs the light making the space as dark as possible. Ideally the work should be experienced alone or with very few others. The darness is all enveloping and incredibly disorientating. Even with a glimmer of light reflecting off the clothing of someone else, I had only the haziest notion of where I was within the space and essentially no idea about how far away the back wall of the space might be. Rationally I know there is a back wall and know I’m not about to fall into the abyss but rational thought counts for nothing here. I visited How It Is more than once. There were times when camera flashes vastly reduced the power of the work; without them the experience could be utterly bewildering with all sense of space quickly lost. This is a work that resonates with ideas of uncertainty and fear. The structure of the container seems to suggest the manner in which people were shipped to their deaths in the Balka’s native Poland during the holocaust. It also talks of more mundane levels of confusion when faced with the unknown and of the bewildering power of faceless bureaucracy. Above all though it speaks of nothingness in an eloquent and terrifying way. 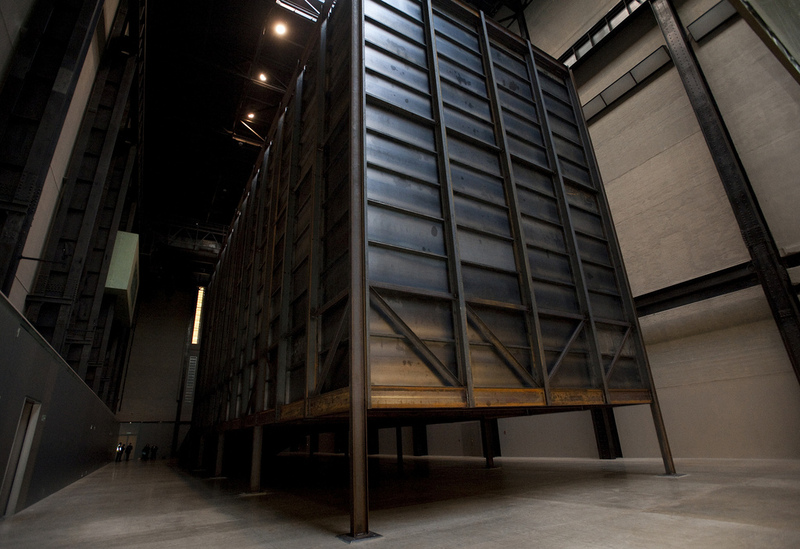 This entry was posted in Installation, Sculpture and tagged art, How It Is, installation, Miroslaw Balka, Tate Modern, Turbine Hall, Unilever Commission by Ann Jones. Bookmark the permalink.